In 2002, Final Fantasy creator Square (now Square Enix) and Disney teamed up to make a strange new story. Appealing to both Japanese and Western audiences, Square combined characters from Final Fantasy with Disney icons such as Mickey Mouse alongside unique new characters to give the world an exciting new game to love. Almost seventeen years later, Kingdom Hearts has a passionate fanbase eagerly awaiting today’s release of Kingdom Hearts III. While all this history might scare away new or casual players, this is a series with something for everyone and has a surprisingly deep story for a game in which Donald Duck is your healer. Why Should I Care About This Series? Over the years I have heard “it looks like a kid’s game,” or “I haven’t played any Final Fantasy games,” and my response is: it isn’t, and that doesn’t matter. While I have personally played since I was a kid, there are many who venture into the series as adults and love it just as much as I do. As far as Final Fantasy goes, Kingdom Hearts introduces many of its characters, but even the important ones are more of a nostalgia factor than a plot point. Maybe you played a few hours of Final Fantasy VII at a friend’s house in third grade and will still feel a tug of familiarity when you meet Cloud Strife at Olympus Coliseum. Even if you’ve never touched Square’s other games, it’s not necessary to know their backstory to enjoy the characters and what they have to offer in Kingdom Hearts. But what about all the children’s characters? When you hear the word “Disney,” your mind is filled with ideas of fluffy, lighthearted goodness and stories of friendship and love saving the day that are recognizable to anyone with access to a television.This is where the crossover goes beyond nostalgia and into the realm of just plain interesting. 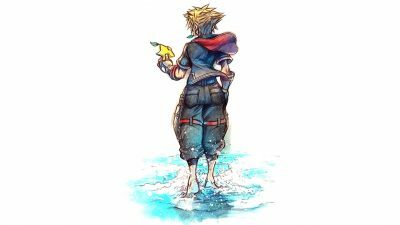 The Kingdom Hearts series begins on a sunny little patch of sand called Destiny Islands, where you meet Sora hanging out with his two best friends and a few iconic Final Fantasy characters, who all daydream of leaving the island for adventures out in the world. Their happy-go-lucky nature is disrupted by shadowy forces of darkness. A legendary weapon called a Keyblade is thrust into Sora’s hands to be used against the invading dark creatures aptly named Heartless. The darkness in Kingdom Hearts has scattered various worlds in a catastrophe that destroys Destiny Islands and fills them with Heartless. Sora goes between worlds based on classic Disney stories ridding them of the evil created by Xehanort, the man who wants to control the realm of Kingdom Hearts and create a world in which light and darkness are equal. Sounds bad, doesn’t it? That’s exactly why our pal Sora and his buddies Donald Duck and Goofy must succeed. When you hear the word “Disney,” your mind is filled with ideas of fluffy, lighthearted goodness and stories of friendship and love saving the day that are recognizable to anyone with access to a television. Why Should I Care About This Series as a Christian? Saving the world from evil that is attempting to make itself equal with goodness and light sounds familiar, right? As Christians, it’s our goal to be the good in the world, and that’s a common concept in video games. But Kingdom Hearts approaches it in a way that is lighthearted and gentle, which is a nice escape from our world of awfulness. The story can appeal to anyone who wants to fix the world but is overwhelmed by such a feat, because it allows you to fix many worlds and do heartwarming things like protect your favorite childhood characters. 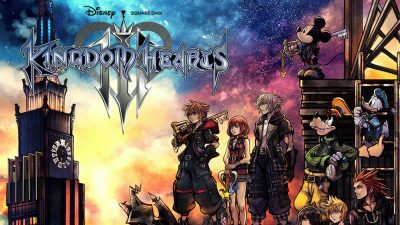 Kingdom Hearts is a fantastic series to be approached by Christians because it can speak to both our inner child and our inner hero. For me, it is one of those stories that reminds me of just how important cliché ideals like friendship and goodness are—and why they are important—while using classic fairy tales and cute anime-style characters with ginormous feet. 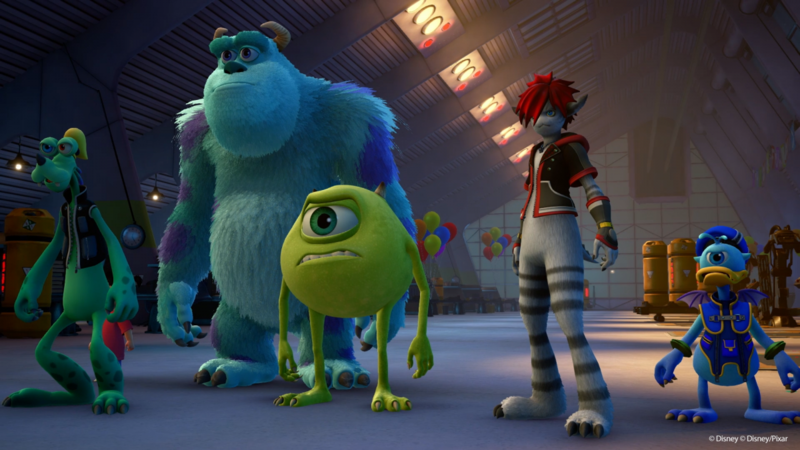 Once you get started, you want to keep getting Sora and his friends closer to unleashing the light to save the worlds. 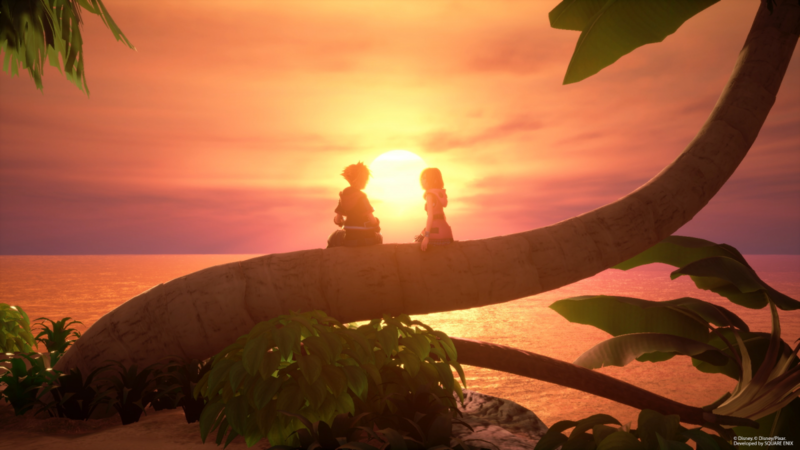 As a whole, Kingdom Hearts can seem overwhelming or childish, but it is a linear series that guides you through its deep story. It is the epitome of darkness versus light and what happens in the fallout to those who aren’t even involved. It takes clichés and turns them into a unique, daring adventure. If Disney is not your thing, you can still enjoy this series with your spouse or children. If you have never even glanced at a copy of Final Fantasy before, who cares! 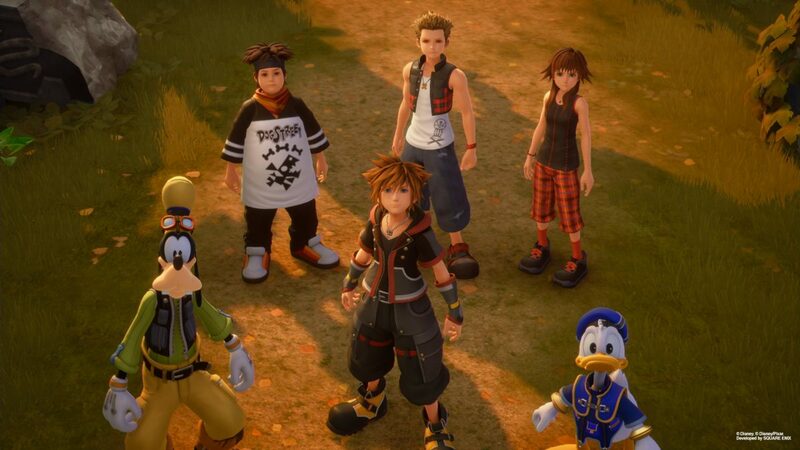 No matter where you come from in life, Kingdom Hearts can find its way into the heart of anyone—all it takes is a Keyblade wielder and his friends to get there. 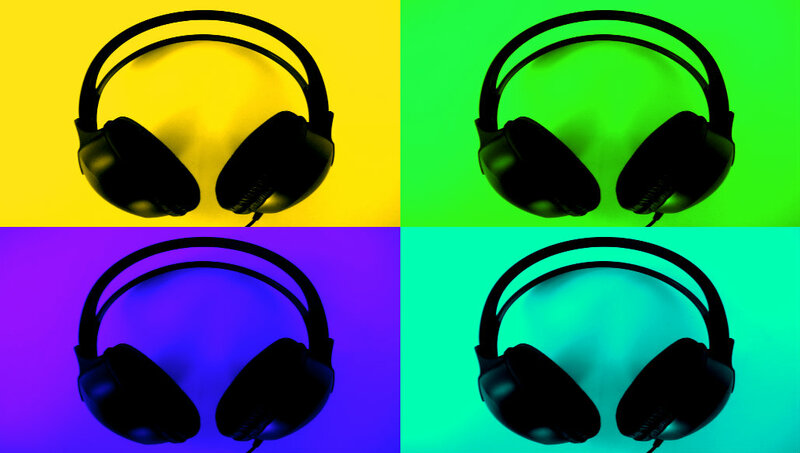 Tieranie Albright lives in New Mexico and is a writer, theology student, and advocate for disabled gamers. She has a passion for Christ, and an insatiable love of video games, books, and Disney. (Especially Baymax.) She is the founder of silversoulgaming.com, and spends most of her time studying at home with her husband and three dogs. Tieranie can be found on Twitter @SilverGamingUSA and @SilverSoulx10. 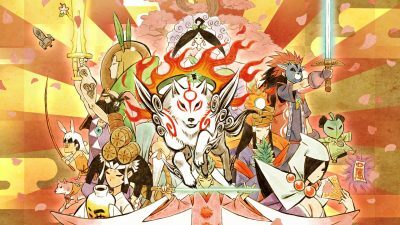 In Okami you play the role of a creator god, shaping and restoring what has already been made. Is it possible to tell the story of a god who creates from nothing?